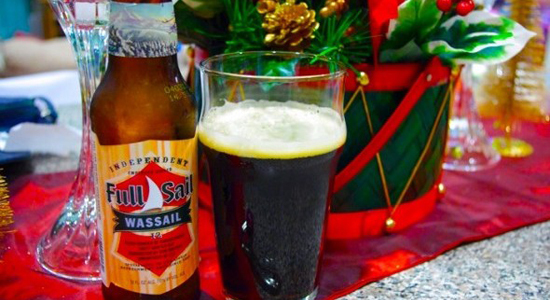 Jeff: One of my favorite things about this time of year is Full Sail Brewing Co.‘s dark winter ale, Wassail. The company doesn’t fool with the recipe or try to make it “better” every year, as it seems is currently the custom. I can count on Wassail as tasting the way I remember it with every Christmas season. Even the graphics stay the same, which is somehow comforting to me. As is the buzz one attains while decorating the Xmas tree. Drink three quick in a row, and welcome to a winter wonderland!